KGLS are proud to announce that Langtang Health Clinic has employed a new resident nurse, Noona Khadkha, from Dharan, Nepal. Noona is a qualified nurse. Her contract with KGLS is 6 months and we hope to extend this after a successful first part to 2018. Noona, as well as the resident CMA Hom Bahadur, are soon to be supported and trained by NAFA Nourishes, an American led NGO based out of Manhattan, NYC USA. NAFA works with local nurses in the Kathmandu Valley, and are also supporting the Langtang Health Clinic with additional supplies, nurse training, public awareness, and clinic drop-in visits. The NAFA team will be spending a week at the Health Clinic this month, March 2018. As such, it is with heavy hearts that we say goodbye to Sima Chaudary after 1 year working at the Health Clinic in Langtang. Thank you Sima for all your hard work and contribution to community life in the valley ! Update on the Langtang Health Post based in Mundu, Rasuwa: the Health Post is now oficially opened and providing services to all the people in village of Langtang and Mundu, as well as the whole valley up to Kanjen Gumpa. The Health Post is being run by a Nepali nurse from Janakpur (Terai), named Sima Chaudary, supported by a male Certified Medical Assistant (CMA) called Hom Bahadur Pariyar. 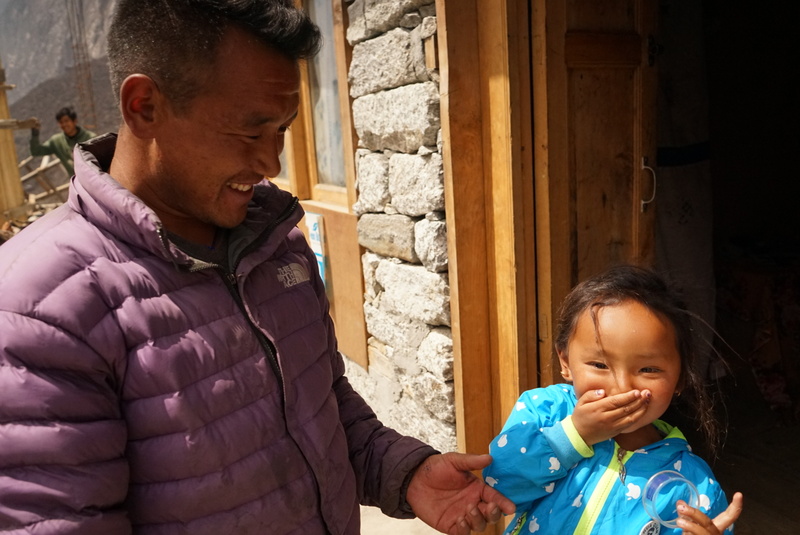 Together, they are serving both the local population and trekkers passing through, with medical support for immunisation, wound dressing, high altitude sickness prevention, and common ailment cures (e.g. colds, fevers, flu). Starting on the 20th January 2018, a five day course with 12 carpenters from the Langtang Community is running in Boudhanath, Kathmandu. This workshop is designed in partnership with KGLS and PSD Nepal, in support up-skilling of the local population and address the real needs of the local. The initial five day training course will teach letter carving and detail carpentry, in order to make local signage for the Langtang National Park trek. This will include the basic information for a safe trek, including details on altitude, distances between villages, and heights climbed or descended. 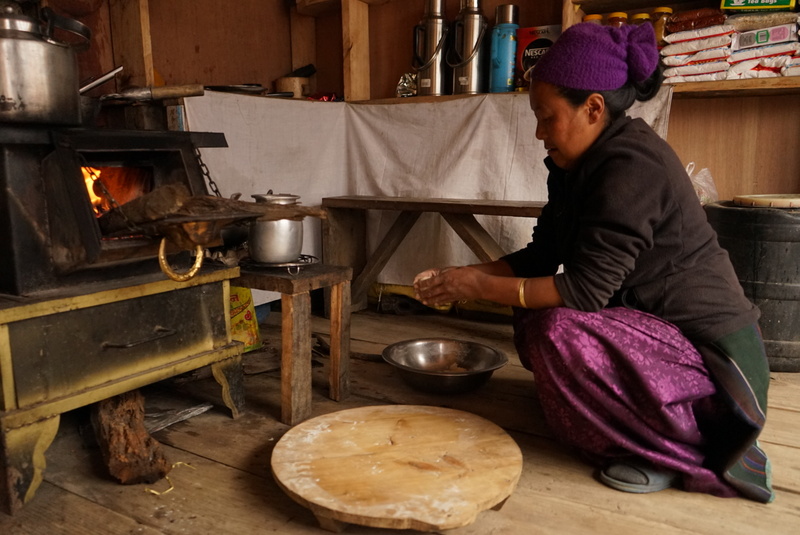 The five day training course is an initial phase in carpentry training with the local people of Langtang Valley. The bigger vision (and our dream for 2018) includes a month long training course in Mundu, combining carpentry and masonry skills, in May 2018. This will culminate in the construction of traditional houses in Mundu. The Nepali Academy of Science and Technology (NAST), based in Kathmandu, Nepal, is partnering with KGLS on Monday 29th January to demostrate a plastic recycling method to convert waste plastic into RDF (Reduced Diesel Fuel). Dr Rabindra Dhaka from NAST is the primary point of contact and will be demonstrating this process with a workshop in Syabrubesi, Rasuwa. KGLS have just launched – in partnership with PSD Nepal and Himex – a new plastic recycling and upcycling scheme in the Langtang Valley of Rasuwa, Nepal. With a local incentive of 1 NPR per 1x plastic bottle collected, the Langtang Valley is aiming to fast become one of the cleanest and most litter-free valleys in all of Nepal. As both a heritage zone and a national park with numerous popular trekking routes, there is a huge push to ensure no plastic litter leaches into the soil or lands in the waters of Langtang Khola. Home of the highest mountains on planet earth: the Himalaya – the abodes of snow. Magnificent, jaw-dropping, scale and size beyond our wildest imaginations. These mountains deserve all the care we can give them. For millions, the Himalaya provide water, pasture-lands, tourist routes, and thriving local economies. Yet the views are threatened. The snowy peaks are marred. Imaginations are polluted by the images of trash, garbage, and plastic waylaid beside roads, bridges, and toppling into rivers. Our gaze should be lifted in these environments – to higher things, higher motives, higher aspirations. The snowy peaks draw our eyes heavenwards. Yet the images are shocking. The plastic. The waste. The putrid litter and garbage, being burnt or left to decompose for five centuries. A solution is desperately needed. Langtang – meaning the “Ox follows” – in Rasuwa, northern Nepal, is home to over 100 trekking lodges, 500 villagers and a thriving tourist trekking route. Devastated by the earthquake of 2015, Langtang also has a growing plastic crisis. We are launching a pilot 1.0 project to test plastic upcycling in the valley. Please help support this project – with 100% all donations going straight to local solutions co-created with the locals of the valley – and help clear plastic from a beautiful, fragile environment. KGLS are currently working with the Chhiring Foundation – from the USA – on the completion of the reconstruction of the Health Post at Langtang. From the Chhiring Website: www.chhiringfoundation.org. The Chhiring Foundation Board of Directors is made up a core group of Steamboat Springs, CO residents with personal ties to Nepal including: Foundation Executive Director Chhiring Dorje Sherpa, Chairman Mark Cox, Eric Meyer M.D., Dan Bell, Gretchen Van De Carr, and Deb Conroy. The LangTang Health Post is the first project the recently founded Chhiring Foundation U.S. is undertaken. 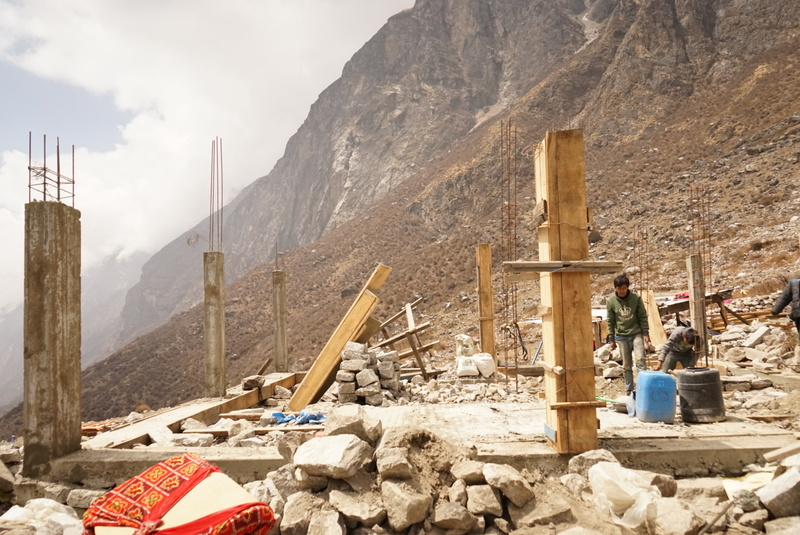 The Chhiring Foundation U.S.’s current two-phase fundraising campaign is dedicated to rebuilding the Langtang Health Post which was levelled during the spring 2015 Nepal earthquakes. The Langtang Valley, located northwest of Kathmandu, is a major tourist destination and was among those villages hit the worst. The second phase of the project focuses on developing a fund for the ongoing operations of the Langtang Health Post. During the past several months significant progress has already been made on construction of the Health Post. The foundation is complete, the walls have started, wood has been been collected, and door and window frames started. The project is expected to be complete in late 2017. To date, $17,175.00 of Phase 1’s $40,000.00 has been raised with an anonymous donor committing $25,000 towards Phase 2, outfitting and supplying the Health Post once it’s complete. The Chhiring Foundation U.S would like to raise the additional $25,000 needed to complete both Phase 1 and Phase 2 by November 15, 2017. For additional information about the Chhiring Foundation, its mission, the Langtang Health Post Project, and to donate visit: www.chhiringfoundation.org. Follow the Chhiring Foundation on Facebook and Instagram. Thank you for considering an investment in this project for the village of Langtang, Nepal.